Merkel cell carcinoma (MCC) is a rare, aggressive tumor that often occurs in the head and neck region. Because of these features, the classifications and diagnostic and treatment regimens are frequently modified. Especially in the anatomically complex head and neck region, it is crucial to be aware of the current recommendations for diagnostics and treatment of MCC to ensure appropriate treatment. This overview aims to summarize the currently available literature. The authors reviewed the relevant literature and international guidelines for MCC from 2012 to 2017 with respect to epidemiology and prognosis, diagnostic procedures and imaging, surgery, radiation, systemic treatment, and aftercare. These results were compared with existing guidelines, some of them current, and recommendations were derived. Marked developments in imaging have resulted in an increased use of functional imaging. 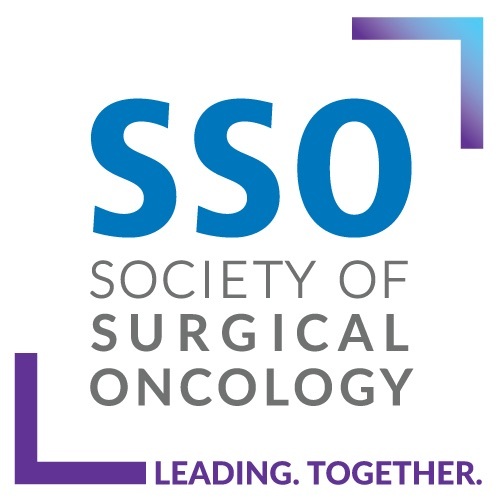 The surgical concepts have changed regarding safety margins and the use of sentinel node biopsies. In systemic treatment, a move from conventional agents toward immuno-oncology can be observed. For staging, it is important to be as exact as possible using functional imaging (e.g., positron emission tomography/computed tomography scan), especially in the head and neck area with its complex lymph drainage. This often plays an especially important role in early stages of the tumor, when the resection margin can be reduced to preserve the organ. Aftercare also should include functional imaging. In an advanced, metastatic stage, immuno-oncology (PD-1, PD-L1, CTLA-4) is superior to the previous methods of systemic treatment. The consensus guideline (8th ed) of the American Joint Committee on Cancer (AJCC) from 2016 is based on a study of more than 9000 MCCs.9 The classifications are presented in the new AJCC classification (Tables 1, 2) based on tumor size, type of local metastasis, or distant metastasis. Local nodal involvement must be histopathologically confirmed. If nodal metastasis is suspected, an attempt can be made to confirm it by fine-needle aspiration or core biopsy. With additional clinical or pathologic confirmation of the diagnosis, five groups with several subgroups can be formed. These subgroups have high prognostic relevance (Tables 1, 2). 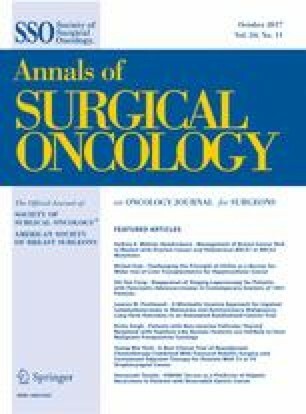 In the new classification, patients with unknown primary tumor are classified as stage 3a, which reflects the better clinical course of these patients. Additional tumor biologic characteristics such as those known for some other tumors (e.g., lymphangiosis carcinomatosa) have not been integrated into this staging classification to date. For reliable detection of micrometastases, more sophisticated histopathologic techniques (slice thicknesses, incision lines, immunohistochemistry) are needed.69,70 Immunohistochemistry staining is indicated especially to differentiate the MCC (also primary tumor) from metastases, mainly metastases of a small cell lung cancer, melanoma, or lymphoma. For this, cytokeratin 20 (CK20–MCC), thyroid transcription factor-1 (TTF-1–SCLC), melan-A/MART-1 (melanoma), and the leukocyte common antigen (LCA–lymphoma) are used. Other useful markers are chromogranin A, neuron-specific enolase, and synaptophysin.25,71 Depending on the patient’s general condition and operability, primary radiation of the tumor and the lymph drainage territory may be considered. Conventional chemotherapy plays a less important role than other forms of treatment (e.g., surgery or radiation) for primarily operable MCC due to the short duration of remission and high toxicity. No reliable data proving an advantage for either overall or recurrence-free survival are available.72 – 75 Chemotherapy generally is considered only for palliative care or for stage 4 disease with inoperable distant metastases. The substances used are anthracyclines, platinum (cisplatin or carboplatin), and/or etoposide and/or topotecan.76 – 78 No established systemic treatment based on validated evidence has been determined to date. Several studies have investigated targeted therapy for MCC with limited success. Various tyrosine kinase inhibitors, for example against PDGFR or c-kit, are used (pazopanib, imatinib).79,80 Testing of a survivin inhibitor is still in the preclinical phase and has shown some success.24,81 The presence of PI3K mutations appears to be indicative of a more aggressive course and could also be a target.82 Inducing an immune response through immune modulators such as imiquimod, which binds to TLR7, has shown some success.83 The expression of somatostatin receptors also allows the possibility of peptide receptor radionuclide therapy, for example with 177Lu-DOTATATE, which studies are investigating.84 No valid data are available for these various active substances. The use of PD-1 and PD-L1 inhibitors also is very promising, and the data are superior to the data of other systemic treatments. Expression of PD-1 and PD-1 ligand (sometimes high) has been proven in both virus-positive and virus-negative MCC.15,18 The expression strength appears to increase with higher tumor stages.85 This indicates an immunogenic reaction to the tumor and is supported by the fact that the quantity of CD8+ T cells in the tumor correlates with the probability of survival.29,86,87 The use of checkpoint inhibitors (PD-1, PD-L1, CTLA-4) therefore may be useful for MCC as well. To date, the PD-1 antibody pembrolizumab and the PD-L1 antibody avelumab have been investigated as first- or second-line treatment in advanced tumor stages (3 and 4).88,89 The response rates have been 32–56%. Complete remission has been found in approximately 10–15% and partial remission in 20–40% of cases.88,89 The rates are thus comparable with those for other tumors (e.g., head and neck cancers). Success has been achieved for both virus-positive and virus-negative tumors. This is encouraging and supports suggestions for the use of these therapies as first-line treatment in advanced tumor stages, especially because the side effects of these substances generally are controlled easily. The anti-PD-L1 antibody avelumab is Food and Drug Administration-approved in the US for metastatic MCC and is in the approval process in Europe. Currently, other ongoing studies are investigating checkpoint inhibitors for MCC (ipilimumab, tremelimumab, durvalumab, nivolumab). Based on these data, clinicians are discussing systemic treatment with active substances from this substance class for advanced local tumors or higher metastasis rates. MCC remains an interdisciplinary challenge, in part because it is so rare. In imaging diagnostics, it appears that functional imaging with PET tracers has become the established diagnostic method. Treatment still consists of resection with a safety margin of at least 1 cm for stage 1 or 2 cm disease in later stages if possible. The lymph drainage territory should be assessed with SLNB or neck dissection if metastases are suspected. Depending on the risk profile or the presence of metastases, adjuvant radiation is indicated for local tumor control. For advanced-stage disease or recurrences, checkpoint inhibitors (PD-1, PD-L1, CTLA-4) could improve current treatment options.